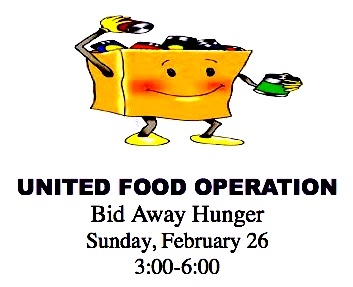 Bid Away Hunger event set | United Food Operation, Inc.
How to donate to U.F.O. Come join us for an afternoon of fun while we raise money to fight hunger in Kanawha & Putnam counties. All proceeds will go to purchase food for 12 local community food pantries. We will have games, prizes, and a Silent Auction. Games can be played for a small donation. Cash bar wil be available. Light snacks & entertainment provided. For more information call Misti at 304-419-1672 or Karen at 304-552-8103 or send email to memitz.davis@yahoo.com . Enter your email address to receive UFO program update notifications. Making food distributions in Kanawha and Putnam counties of West Virginia since its founding in June 1981. 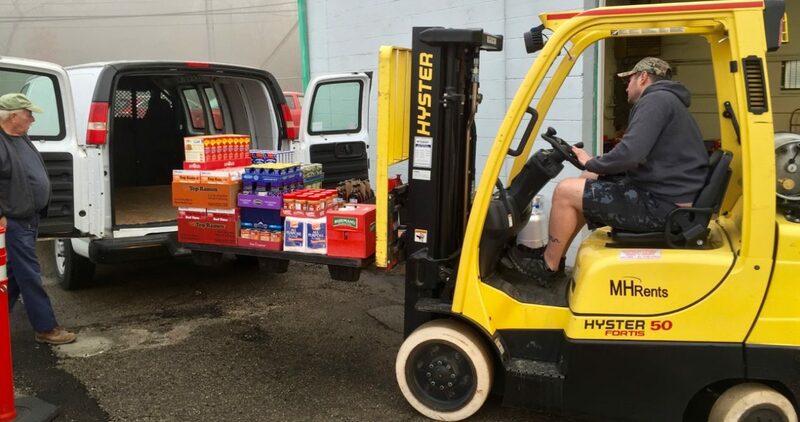 The Winter 2019 food distribution will run from January 12 to March 30. Food or funds contributions are always welcomed. For more information call 304-342-2023.